One of the most colourful in the Crassulaceae family. 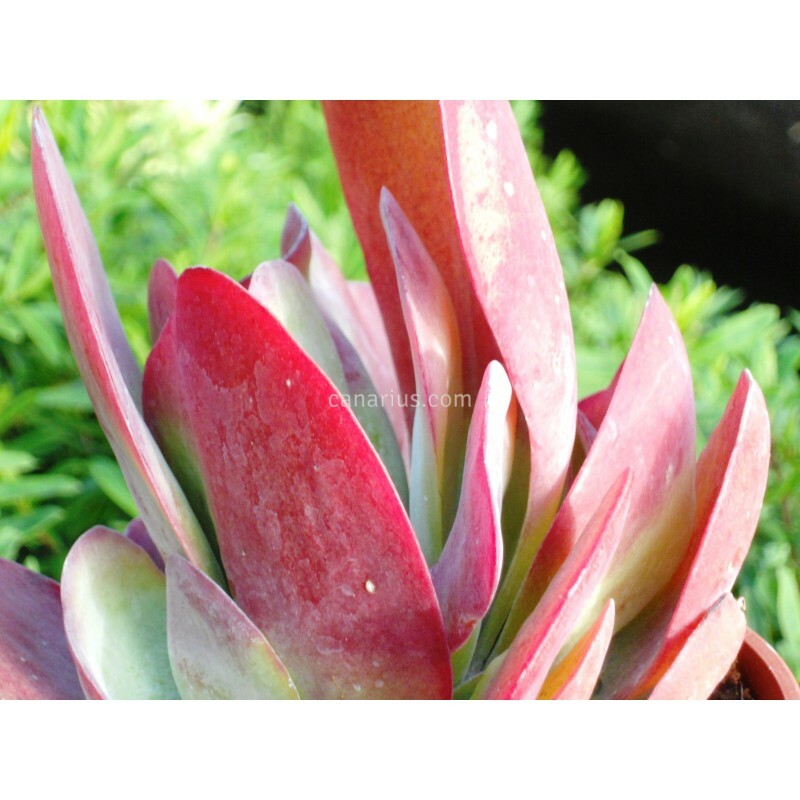 This plant develops incredible colours on the bold rounded leaves when exposed to cool temperatures or grown in full sun: red to purple, pink or orange and then the white-bluish green background. One of the most colourful in the Crassulaceae family. 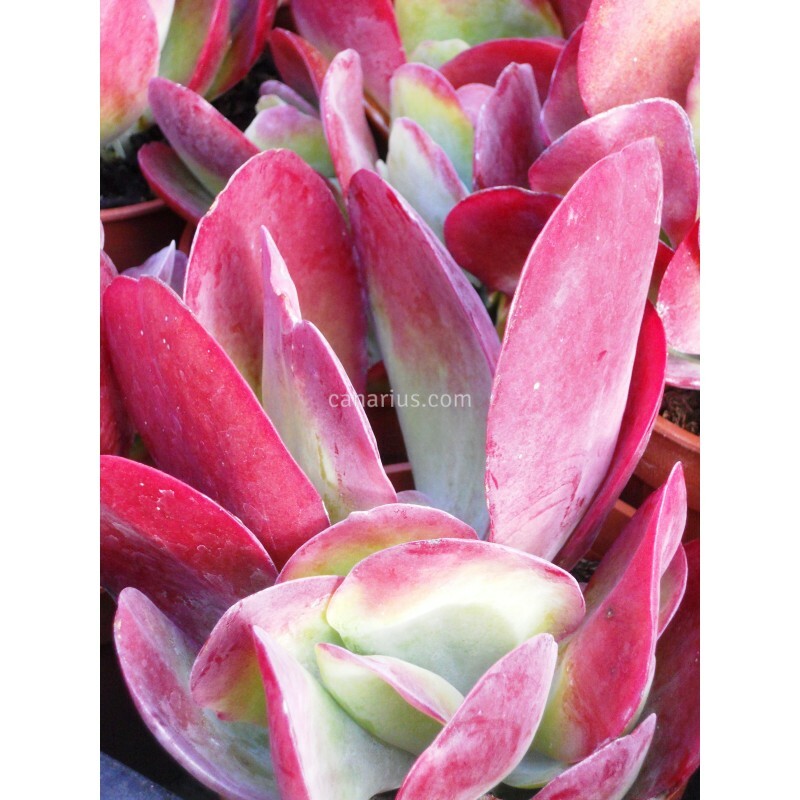 This plant develops incredible colours on the bold rounded leaves when exposed to cool temperatures or grown in baking full sun: red to purple, pink or orange and then the white-bluish green background. Kalanchoe luciae is native to South Africa. It grows in open rocky situations or exposed hilltops in bushveld habitats. Flowers are also ornamental.